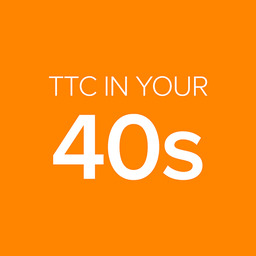 Trying to conceive in your 40s? This group's for you! Davone • Fri, Sep 19 2014 • I`m a happily married lesbian who is trying to start a family with her wife. TTC baby #2 the 1st is 21 yrs old. I know it is two early to test but I did. The reason I tested is because 1. My bbt was very high this morning so then I 2. Took my Clearblue digital test OPK test and tested. I did this yesterday too but it came up low fertility ( no happy face) this morning it came up blinking happy face ( high fertility) I shouldn't be fertile but I read you can use your OPK as a HPT! I only used the OPK because I read that: The hormone that the OPKs test for (LH) is very close to the hormone HPTs test for (hcg). You can't get a + HPT without the presence of HCG though. It's hard to explain why you can get a + on an OPK for hcg but you can...... So then I used a first response pregnancy test and got a BFN lol ..... I'm going to test again tomorrow, Sunday and Monday before my Beta blood test at the doctor office on Tuesday.